All of these would be very fitting in my home. 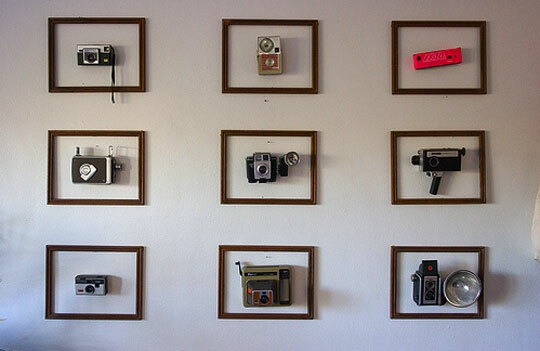 I love the camera wall. I am always so tempted when I find vintage cameras but never know what to do with them!!! Holy cow, that camera wall is incredible! oh that little tent in the nursery is so cute!